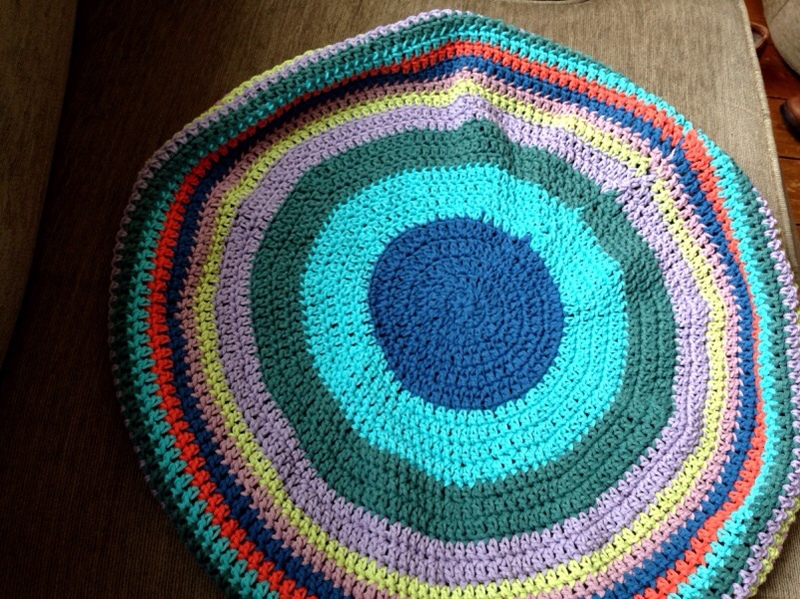 Well after a lot of thinking I decided my crochet circle would be a bag! 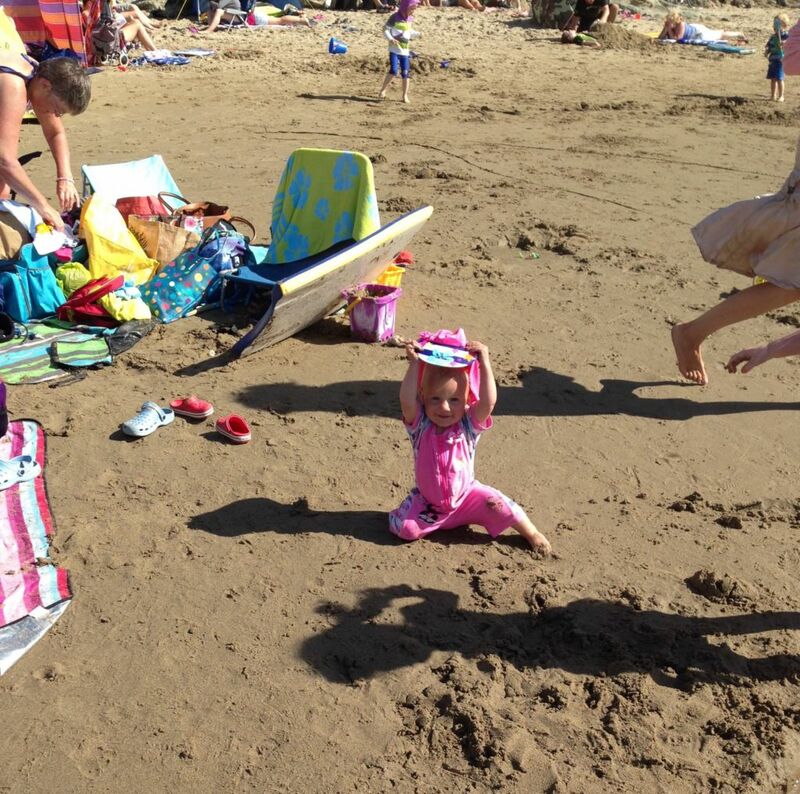 However it isn’t really looking like one and is more like a sombrero! 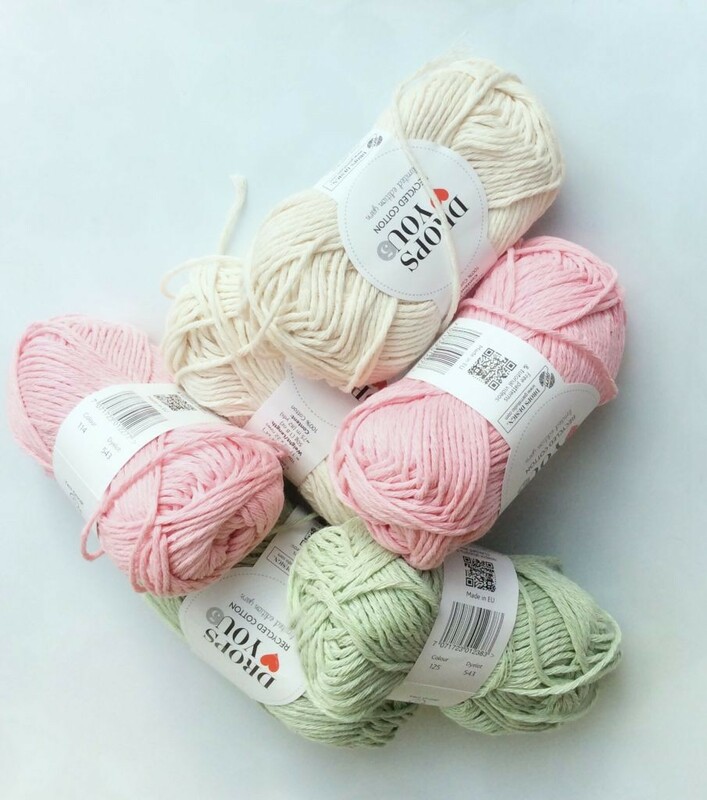 I am following an Attic 24 pattern so it should turn out ok but I am wondering if floppy cotton was not the right yarn as the original pattern is in merino. 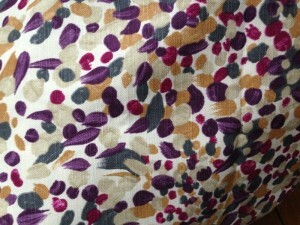 Oh well – perhaps an interfaced fabric lining will be required to give it some form! 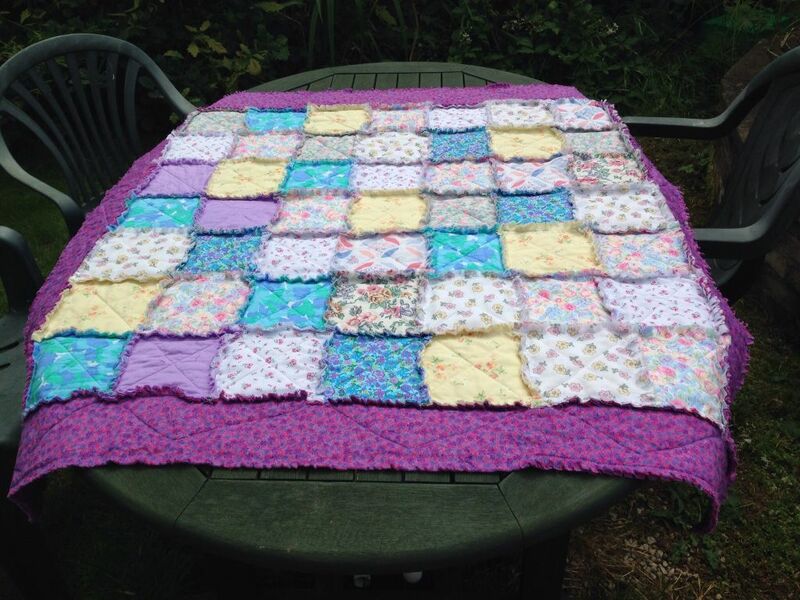 The other thing I decided to make this week was a quilt for me to take on holiday in a couple of weeks – it’s using up lots of the stash I recently received and as it’s a rag quilt it was fairly easy to make compared with making a quilt top and then quilting it to a base. 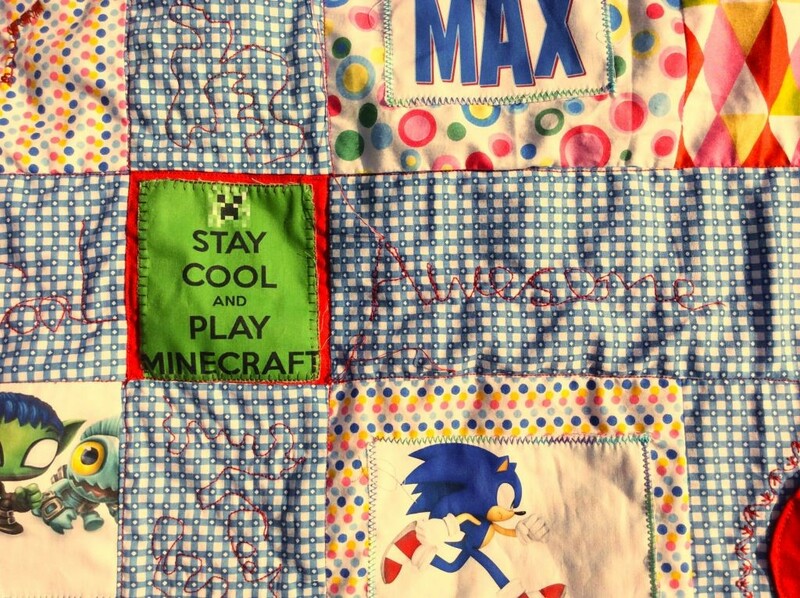 I made some quilt ‘sandwiches’ first, then quilted each ‘sandwich’ with a cross of stitching. These were then sewed together in long lines and then the lines joined up – all had a half inch seam allowance for fraying later. 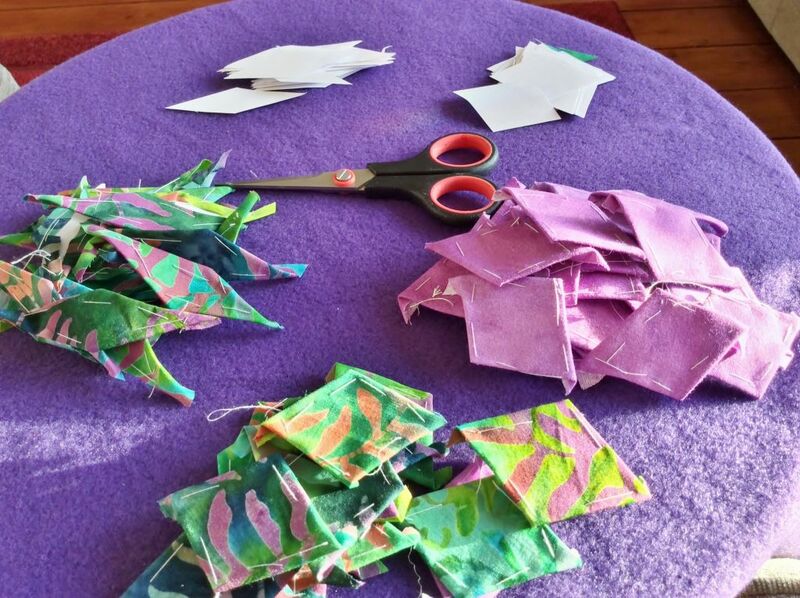 After sewing all the quilted squares together I made some long sashing strips in bright purple and made long rectangular ‘sandwiches’ to sew right round each edge. I quilted these separately with long diagonal lines and then finally a line right round the egde of the quilt leaving a half an inch seam allowance for fraying. The hardest part if snipping all the seams for the fraying but it’s worth is when you take the quilt out of the tumble drier and it’s all soft and lovely! It’ll certainly keep me cosy of the cross channel ferry! 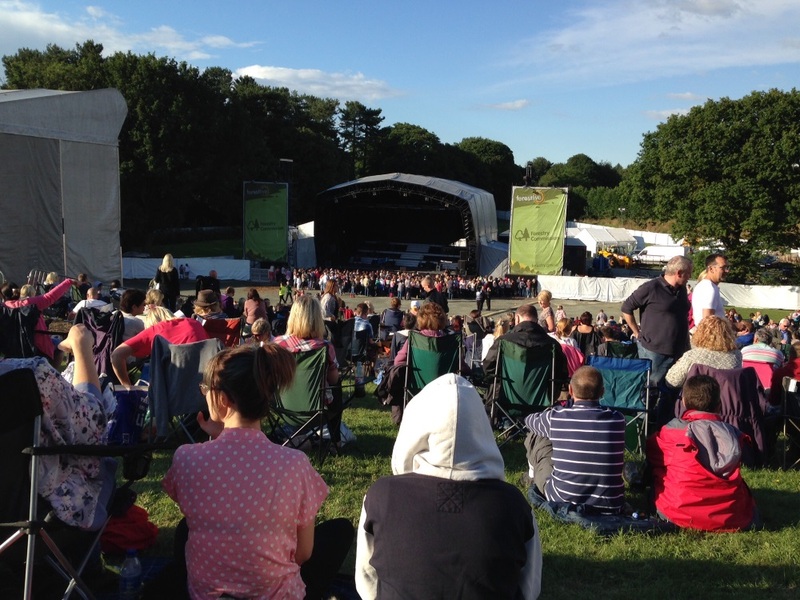 I’m rather late for Handmade Monday as I was at a Boyzone concert in beautiful Delamere forest yesterday but that’s another story! 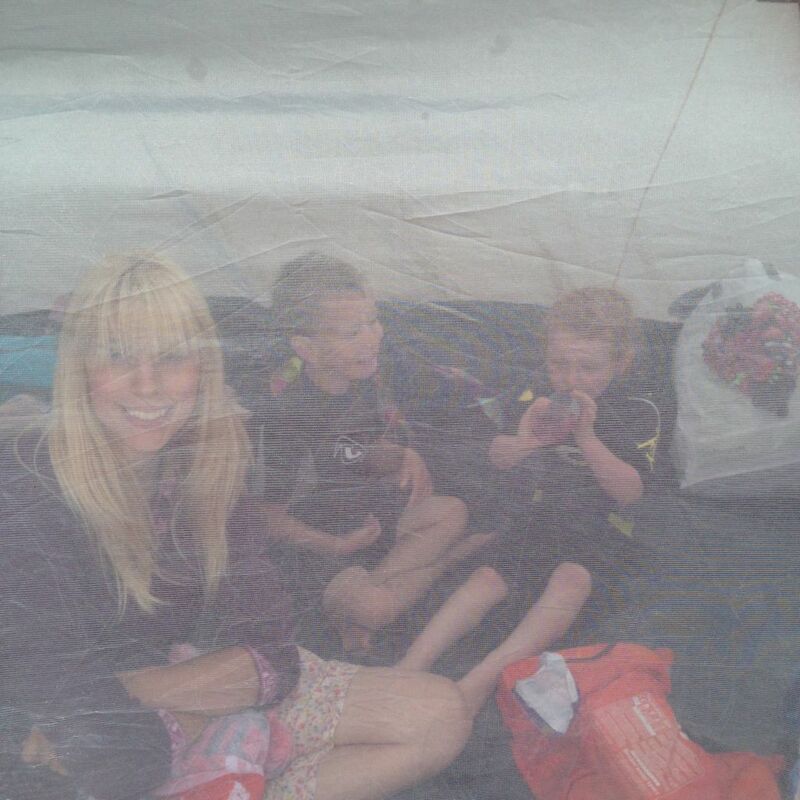 Happy Mothers’ Day for this weekend! I am late linking up to Handmade Monday as I was enjoying myself too much on Sunday to do the link up! 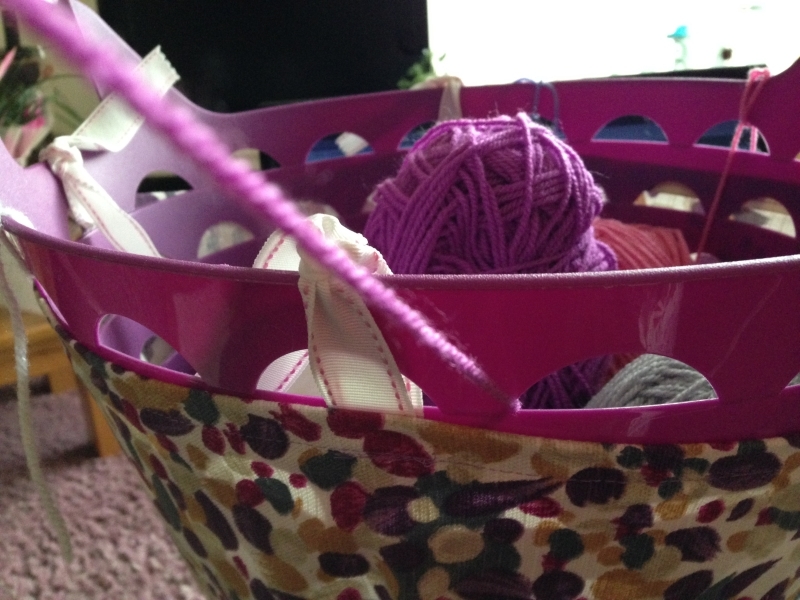 Do untidy baskets and bags of yarn get you down as much as they do me? 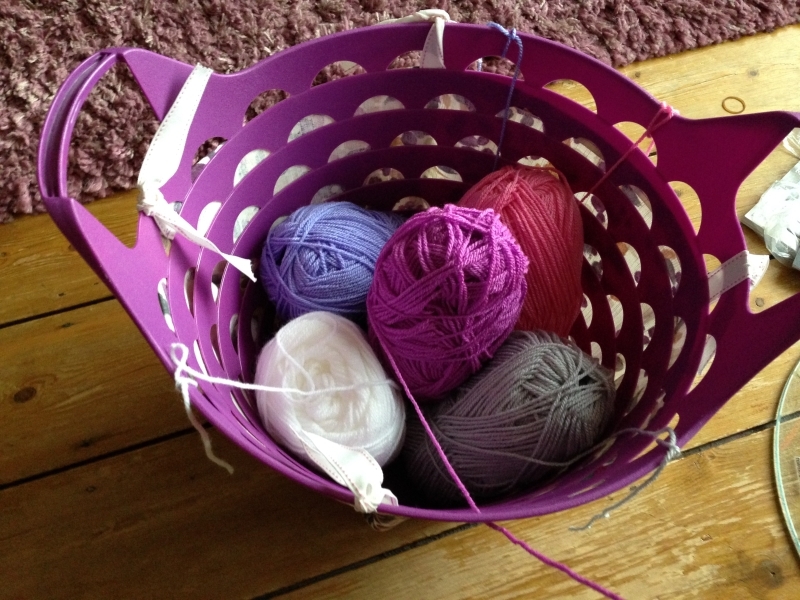 I have been so fed up of having to sort out and untangle my balls of yarn everytime I start to crochet I have been trying to design a storage method which would allow me to have several colours on the go at once but keep them all separate, tidy, NOT TANGLED! Soooo much time spent untangling instead of creating does not make for a stress free enjoyable hobby! So when I read about the Hillary’s Blinds Country Crafts Competition for bloggers to design something using some of their fabric I had an idea! The fabric I chose (from a choice of 4) was Calluna Amethyst, a beautiful upholstery weight fabric with a cream background with splodges of amethyst, emerald, gold and ruby, very pretty and so much my type of colours! 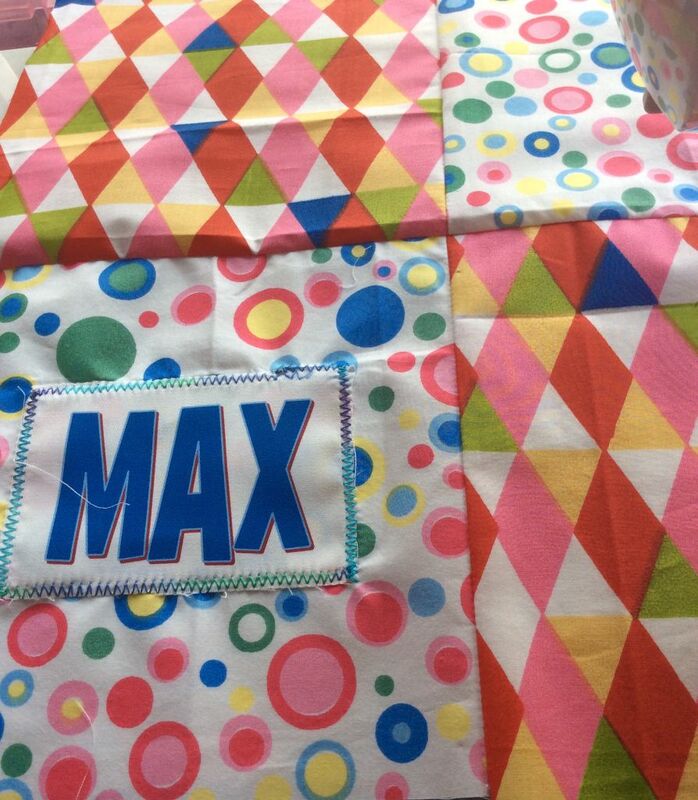 The free sample was 39×39 inches and the design was up to the blogger! Exciting! In my craft room I have a purple open weave plastic basket for keeping fabric bits in. If I put my yarn in this I could feed the ends of each ball through a hole and tie them to the side to keep each one tidy! Only one disadvantage – not very pretty for the living room – but this is where the Hillary’s fabric came in! 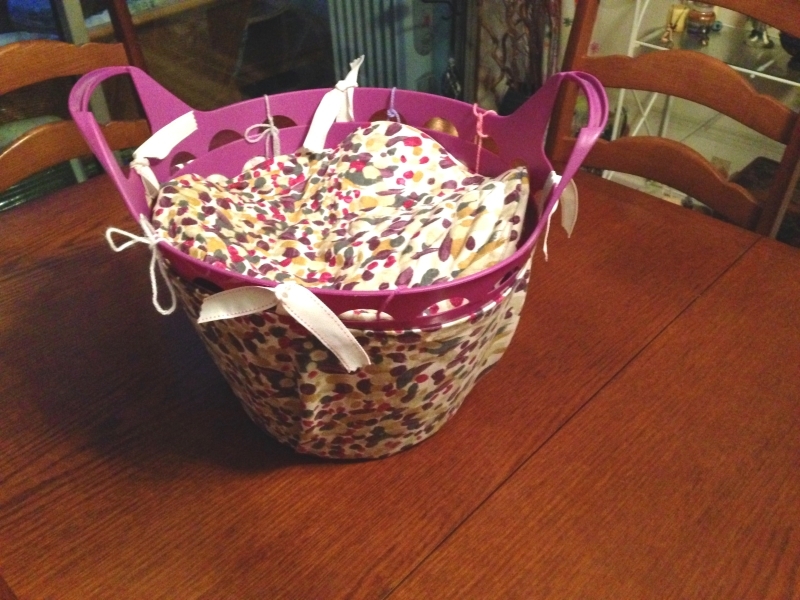 A pretty cover for a yarn storage basket! 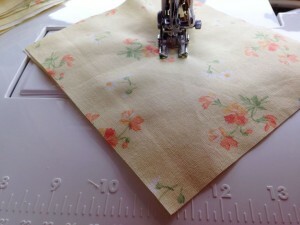 First you need to measure the height and circumference of your basket or box, or whatever you are covering and cut a rectangle accordingly – ie the size in height and length plus a couple of inches for hemming and seaming. Now turn down one of the long edges half an inch and iron it flat, then turn this down again half an inch and pin in place. Sew this to make a neat hemmed top edge. You can see in the picture I have aligned my 1/4 inch foot with the left side of the hem instead of the usual right side, this is to ensure I capture the turned under fabric as I sew! Now fold your rectangle right sides together and check if the piece needs trimming to neaten it up and if so do this now before sewing up the side seams. 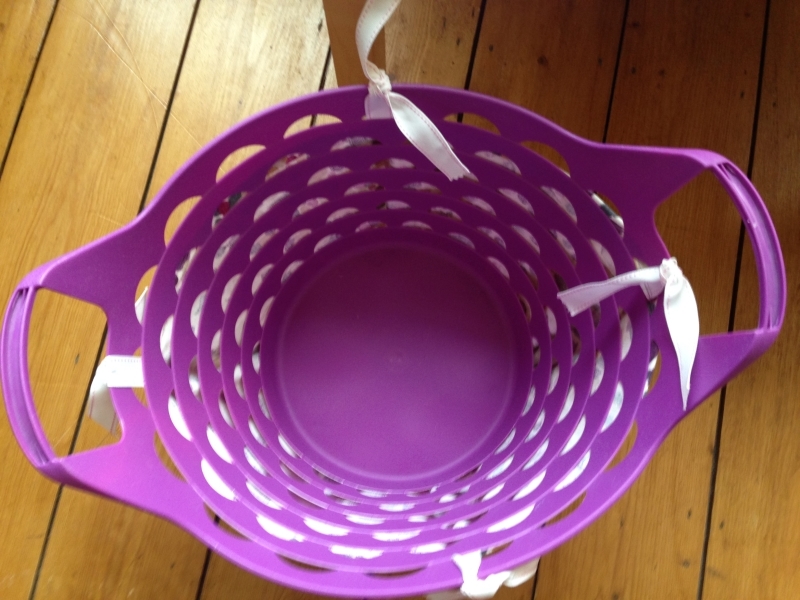 Now you have a circular tube of fabric which you put your basket into – this bit is quite fiddly but keep going till you have the cover round the basket up to the top row of holes. If you find the fabric is too small just unpick the side seam and add in a contrasting panel – no-one will know it wasn’t part of your original design! Now you make some ties to keep the cover in place! Take your cover off again. I used some grosgrain ribbon from my stash but bias binding would be good, or you could make some ties from the remaining fabric. Anyway, cut 4 lengths of your ties, each 12 inches long. 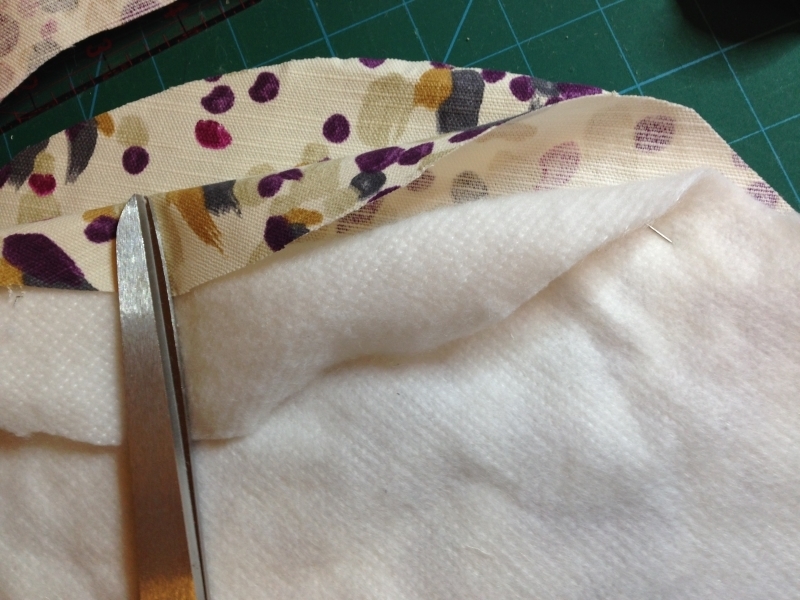 Fold each in half and pin to the top edge of the cover with the folded end about half an inch down and the two ends pointing straight upwards. The four should be equally space round the top. 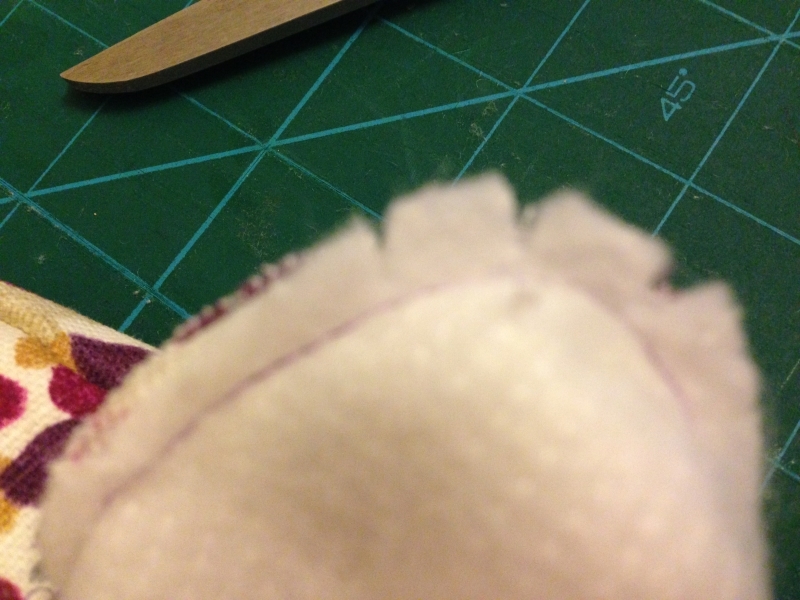 Start by putting the first one over the side seam and then place the others accordingly. Sew over each a couple of times to secure in place. 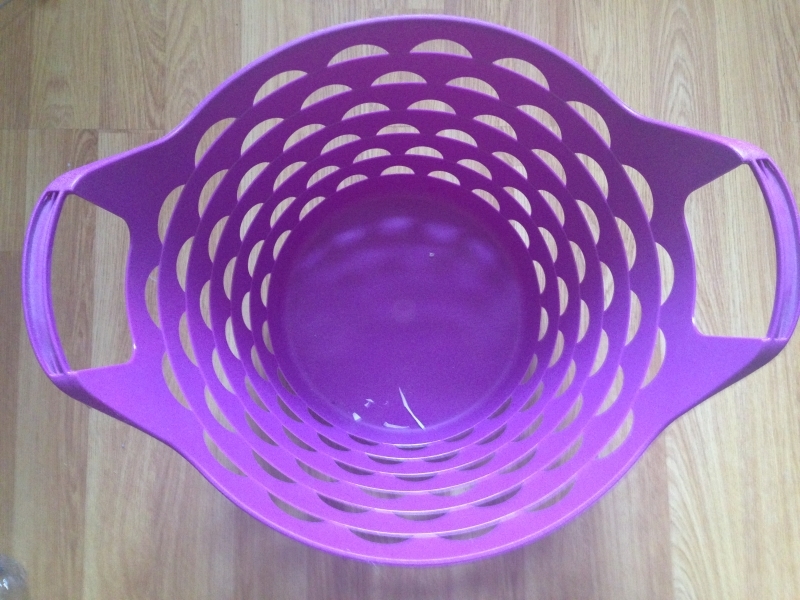 At this point you can also hem the bottom edge or you could simply fold it under the basket and pin it in place or glue it in place – depends how quickly you want your basket to use! Now you can replace your cover and secure the ties to the top row of holes. So far so good! 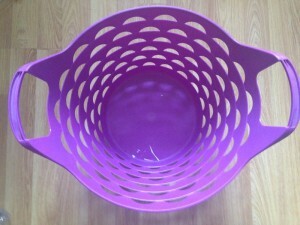 I decided to make a loose cover for the top of my basket, so if you do too you, go ahead! Put your chosen fabric right sides together and draw on it a circle the same size as the circumference of the basket. 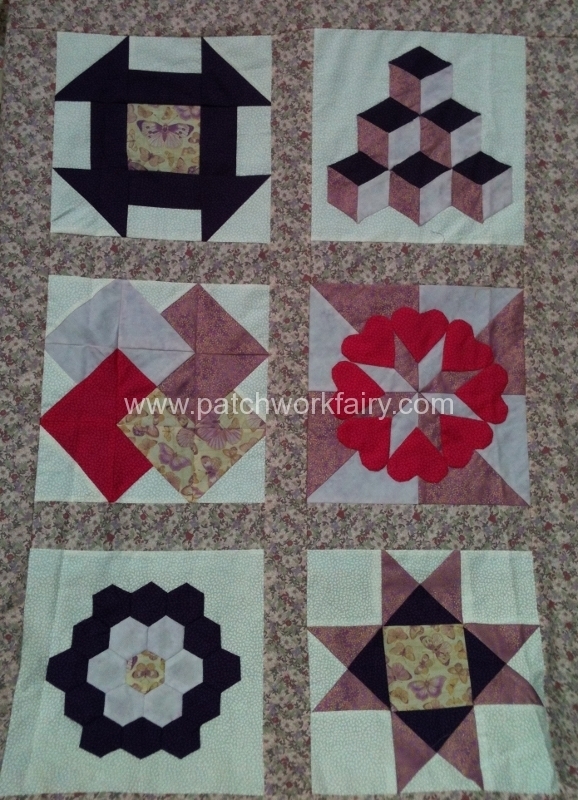 Cut this out and then cut out one of fusible interfacing or ordinary interlining as well. Either iron on the interfacing or pin the interlining to one of the wrong sides of your circles. 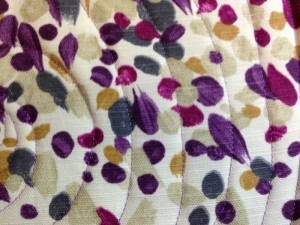 You should now have the fabric still right sides together but one has interfacing on the back making a third top circle. Sew the round the circumference of the three circles using a 1/4 inch machine foot aligned to the right hand edge of the top circle. Leave a gap of 4 inches for turning to the right side. 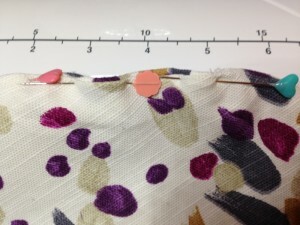 Snip into the seam allowance round the circle being careful not to cut the stitch line. 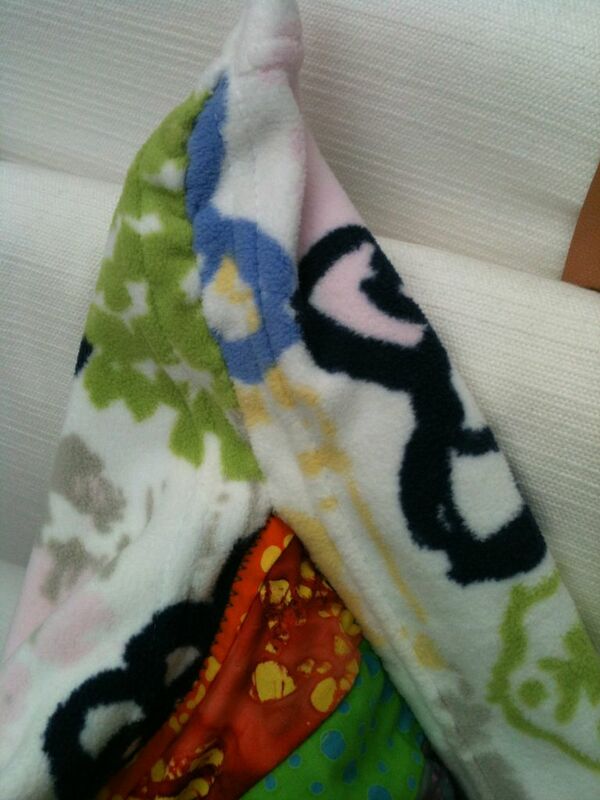 Turn right sides out and turn under the fabric in the gap and pin it so the the circle is now complete. 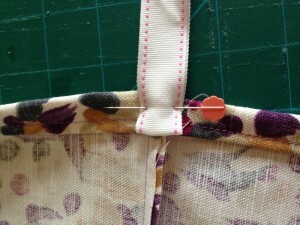 You can now just hand sew the gap together and have the top as it is or you could quilt it. You can get quite a nice effect even with an ordinary machine foot. Although I have a walking foot and a free motion foot I have finished my top cover off with the normal foot to show you how it can be done. 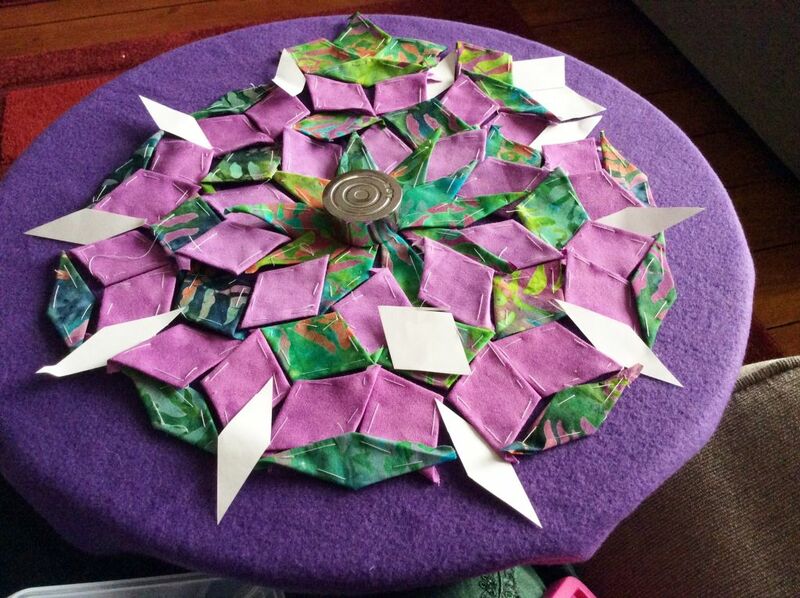 Put the needle into the centre of your top circle and start to sew forward and round, guiding the fabric with both hands so that it turns as you sew to make concentric circles, spreading out from the middle to the very edge where you take in the pinned gap area and so close it up. All that remains now is to choose your yarn balls and put them into your basket with the end of each going through a different hole in the side and tied to the top. Do not tie up the colour you are working with, just poke this through a hole and up to your work area. Every time you need to change colour just tie up the one you are working with and untie one of the others! 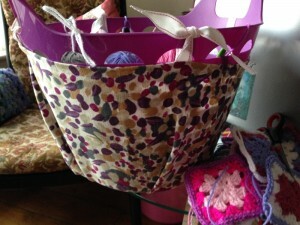 You now have a pretty and very practical basket and no more tangled yarn!! 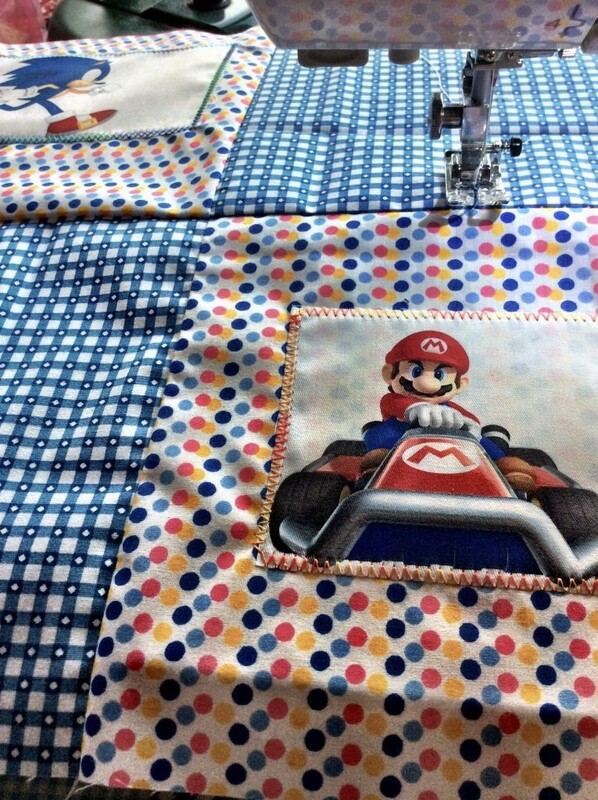 Non stop quilting this week combined with sewing in the ends and adding fastenings to all the things I’ve made over the last few weeks! 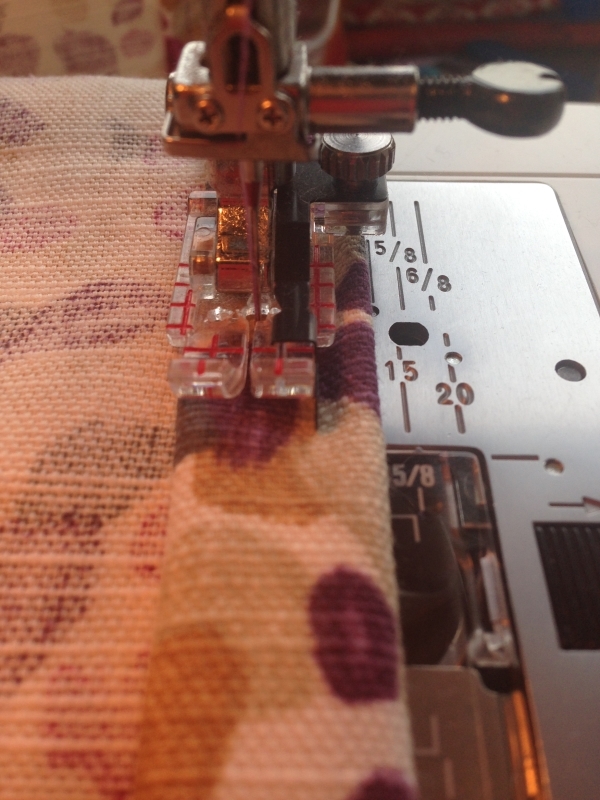 I hate the finishing off bit – I’d much rather do the designing and initial making! 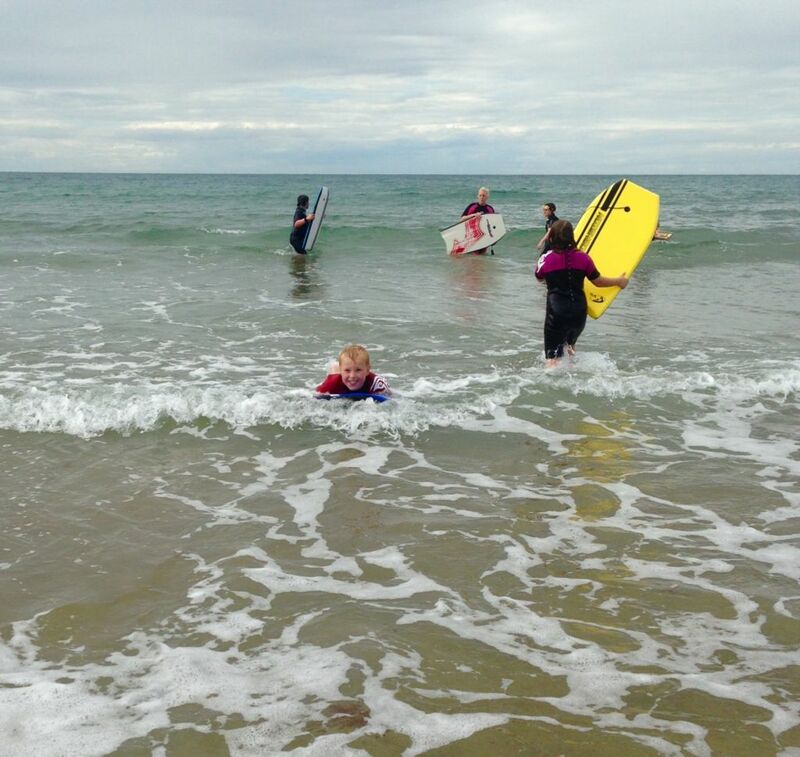 If I ever have a business that requires staff then that is the first thing I would delegate! 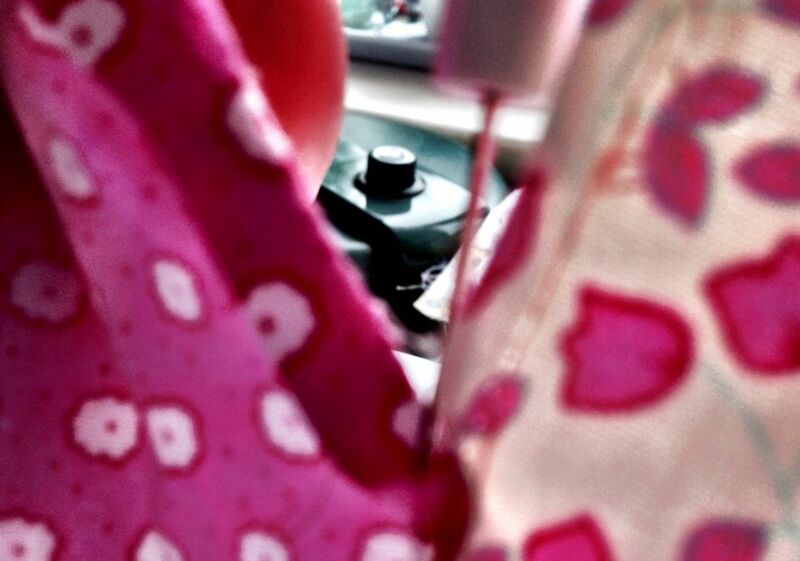 In the meantime I have to rely on family and so drafted in my mum for a sewing on buttons and press studs day! 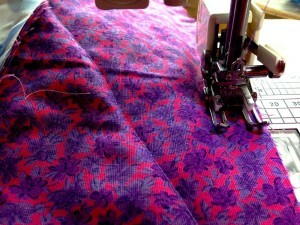 We drank tea and chatted while we sewed and it was a nice relaxing change from all the machining. 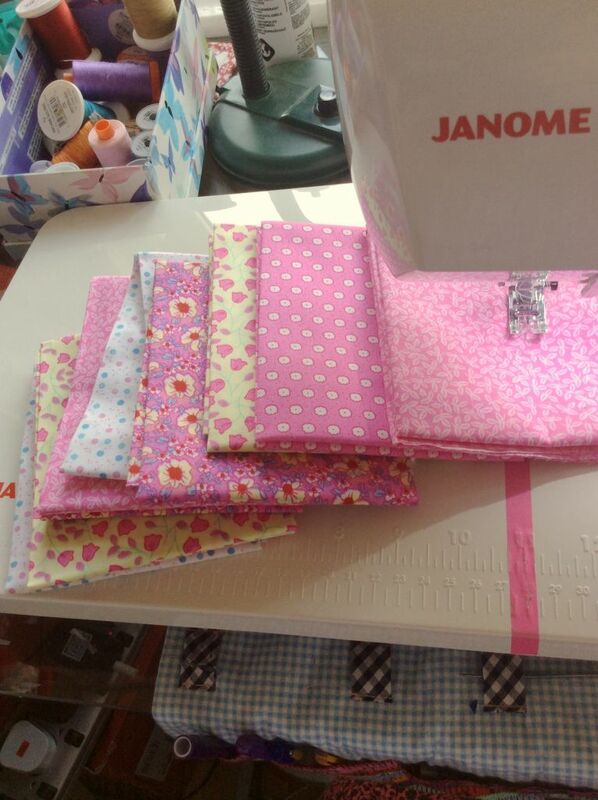 I think that my favourite thing is making patchwork bags and pouches ! 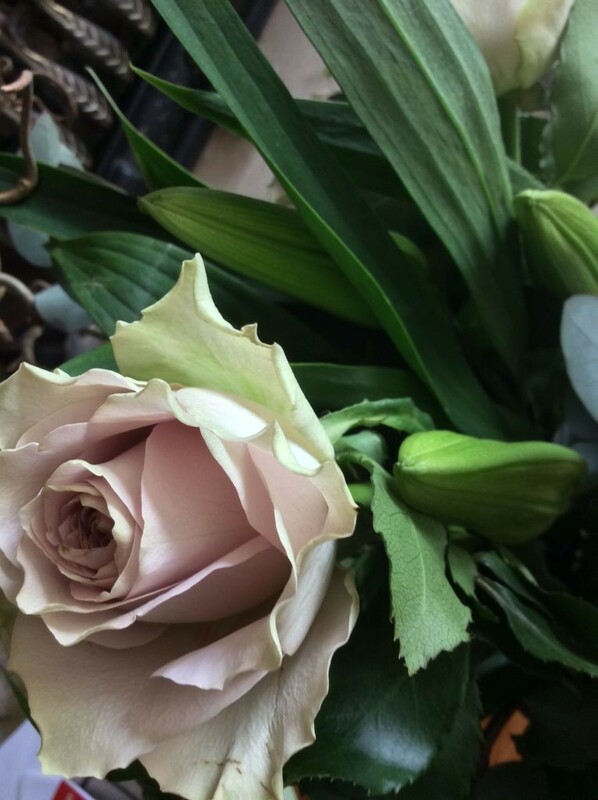 I hope they sell at the fair as I am taking quite a range of items to London so that I can get some feel for what in the future I should be concentrating on, ie the items which sold or which I felt people liked. 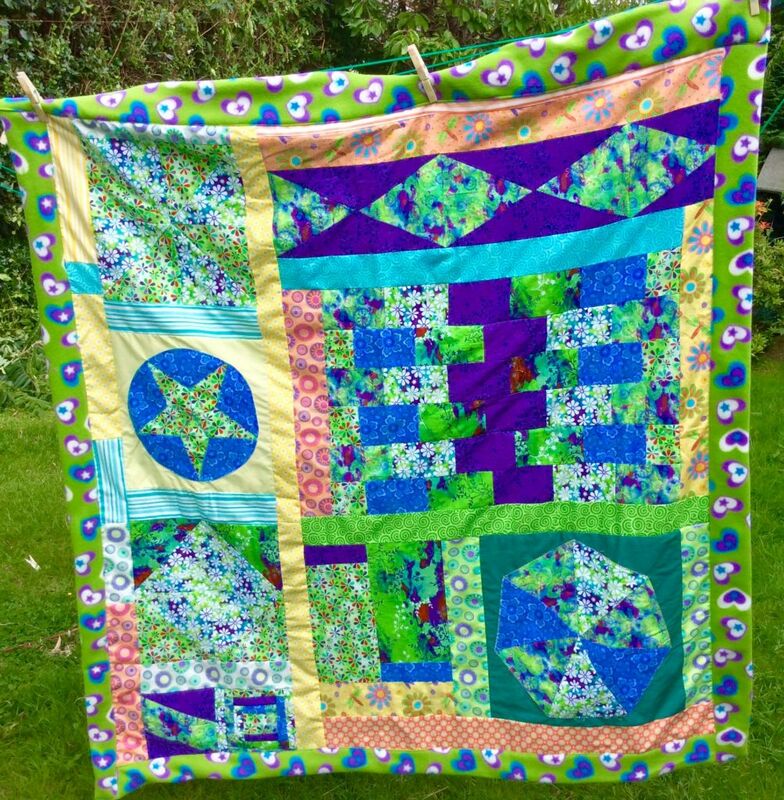 I have also been making a disappearing 9 patch quilt top – I learnt this on a Craftsy class ages ago and have been wanting to make one ever since. 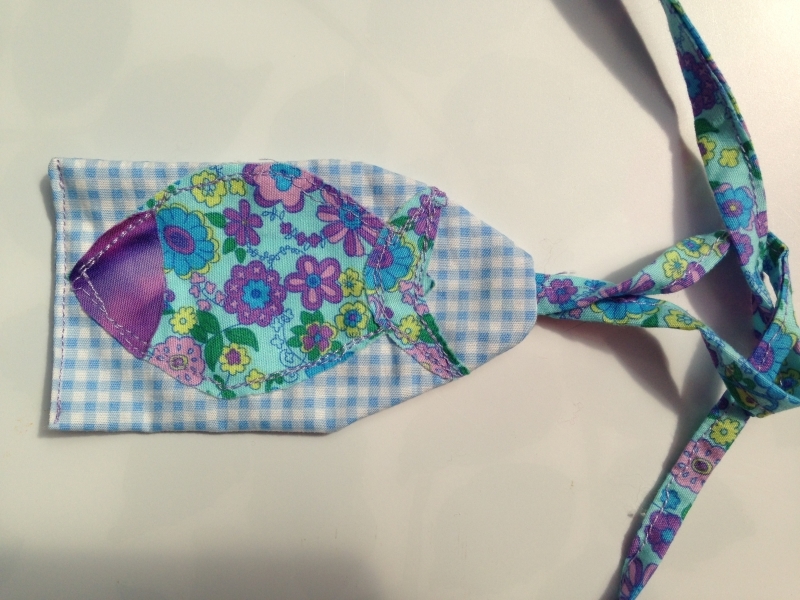 It’s quite easy and yet looks like it has more sewing than it really does! Anyway I’d better get back to it! Just linking up with Handmade Monday for the usual Sunday evening stroll round blogland. See you there! Ooh it was an exciting day yesterday! 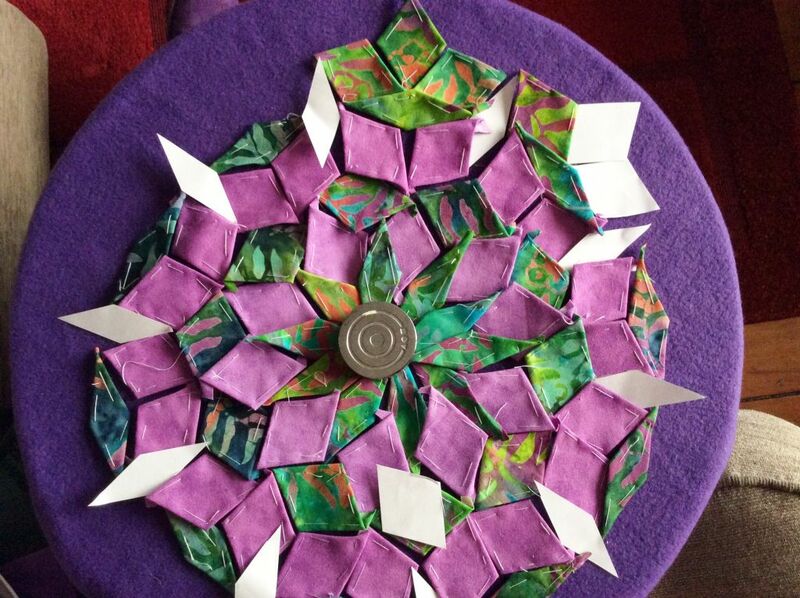 Of course it was the Dr Who 50th Birthday show but I was also on a free motion quilting course! 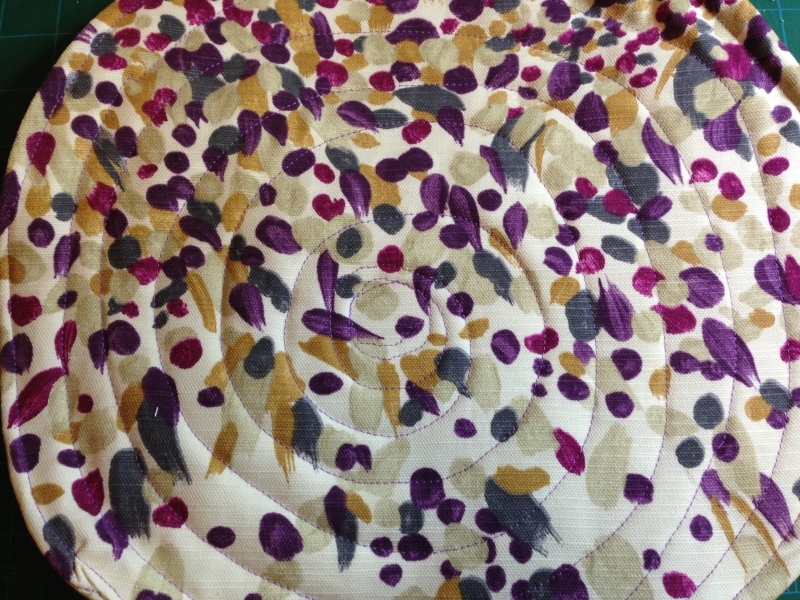 I had a lovely day learning how to free motion quilt (it’s not easy!). Basically it sounds great – no keeping to straight lines – you can just wibbly wobbly all over the place – but actually that’s quite hard to do evenly! 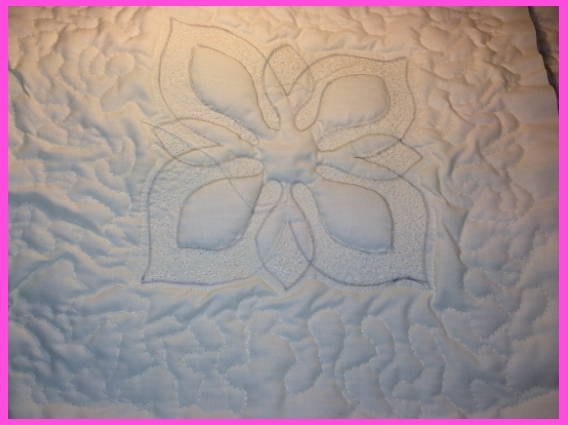 Anyway I am now a lot better than before I went and so hope to be doing lots of quilted items with this free motion style of quilting in the future. Here is one thing we did learning how to do different types of stippling! – some loose threads there as this was just a first practice! As well as the course I was also getting ready for my first big fair in 3 weeks! 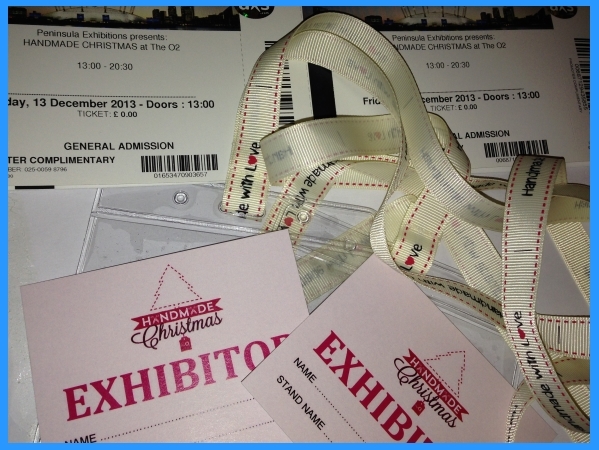 The passes came on Friday! I was so excited! 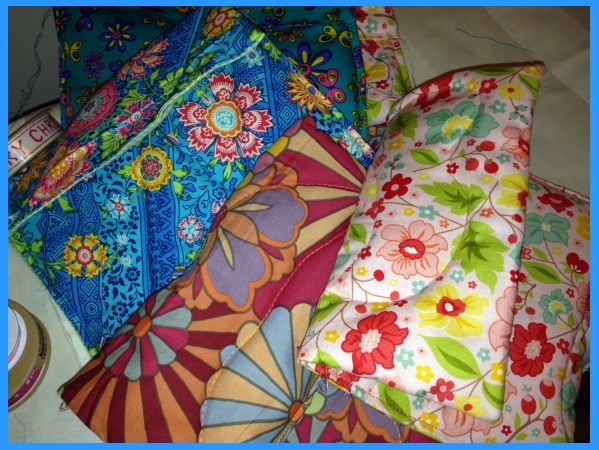 And lastly, I have been working with my ‘hippy’ fabric – I have loved every minute of it as I really am just an old hippy!! 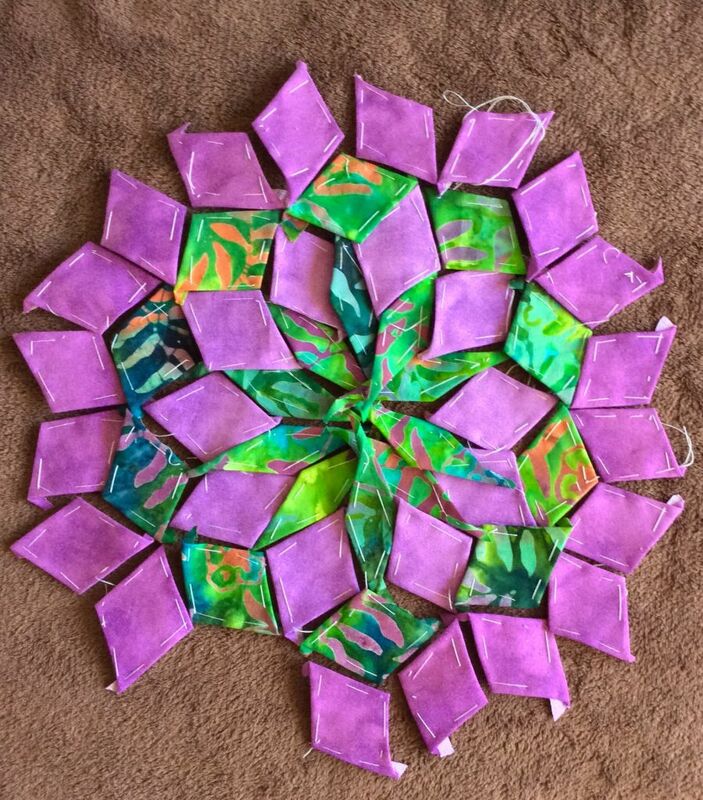 These would be great for free motion quilting I think – swirly hippy psychedelic patterns!! (more loose threads as these are not finished off yet). And now over to Handmade Monday! 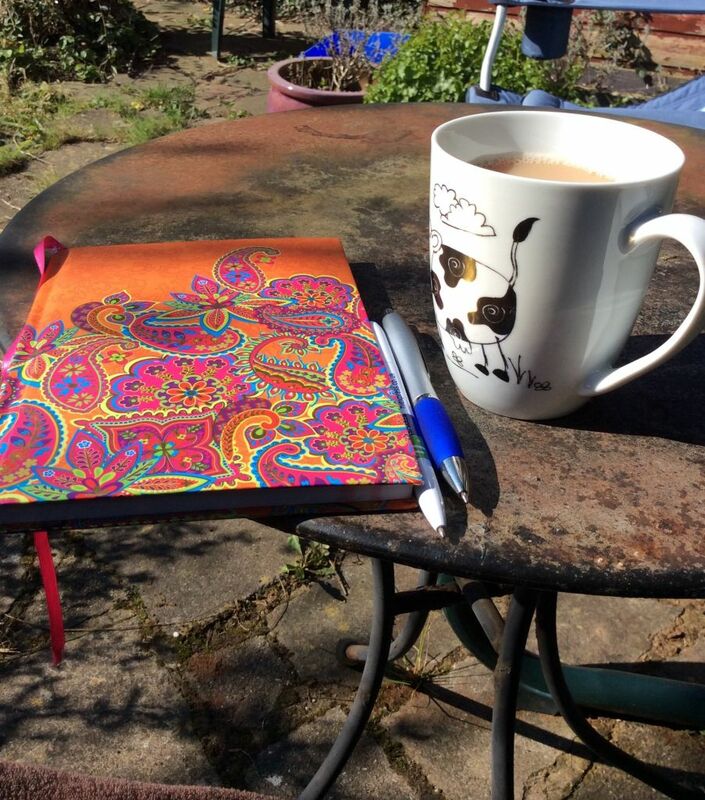 I love my Sunday evening stroll round the blogs! Well this week I have been quite a lot busier crafting wise. I have been making things for my camping holiday as every year I go away for a few days with my old friend and our assorted children and grandchildren. 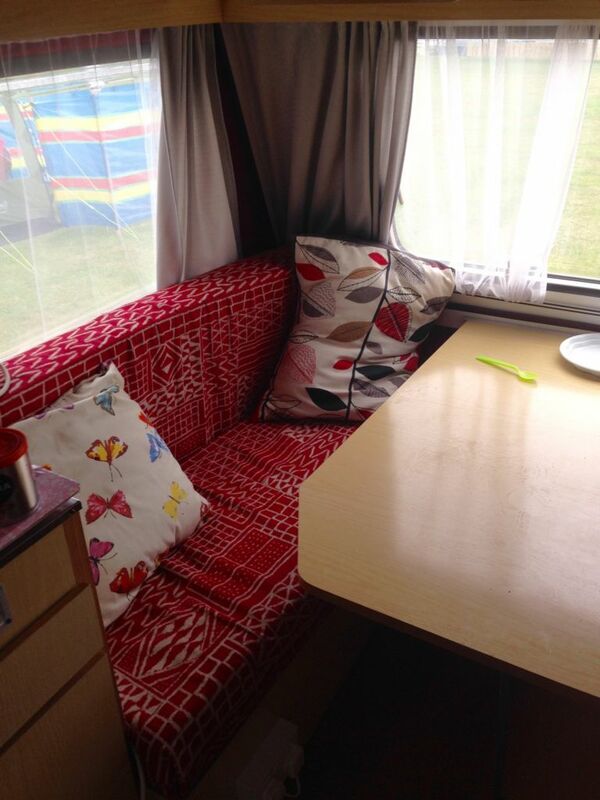 I go in my Dandy camper, this is a cross between a trailer tent and a camper and can be put up in 15 mins! 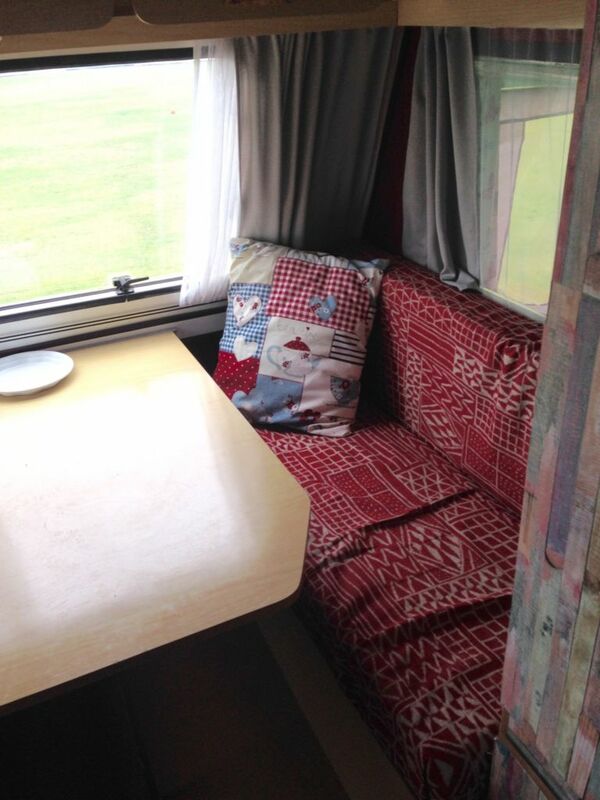 It has a proper bed, a settee and 2 proper windows so I have just made some new curtains, cushions and bunting for mine and finished off the hippy type quilt I have been making. 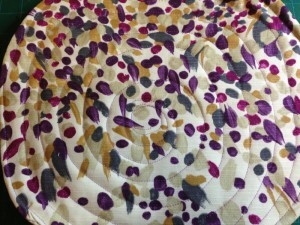 I posted about making the top from a jelly roll a few week’s ago in this post here. 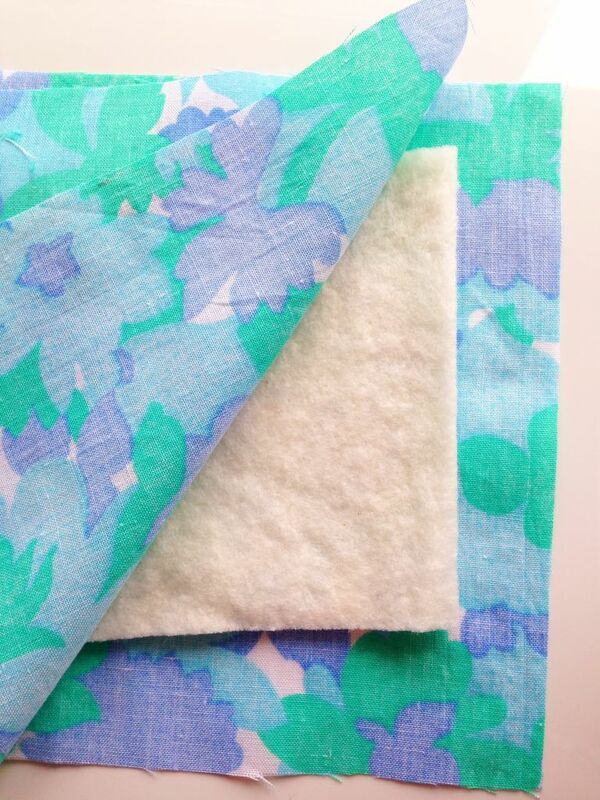 Now it has a fluffy inside and a soft fleecy backing! The fleece is from IKEA and is quite heavy so I should be really warm on chilly nights in a Welsh field! I don’t know about everyone else, but I tend to rush things which are for myself and end up with something which isn’t quite how it was intended to be. I make so much for selling which has to be perfect that I get sloppy when it’s only for me. 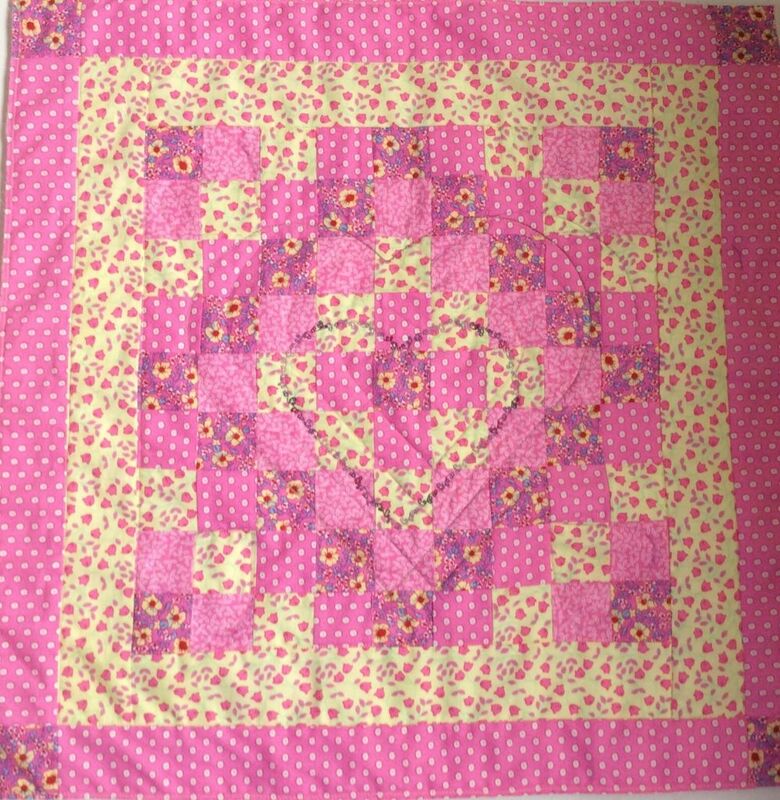 my hippy quilt with it’s ears! 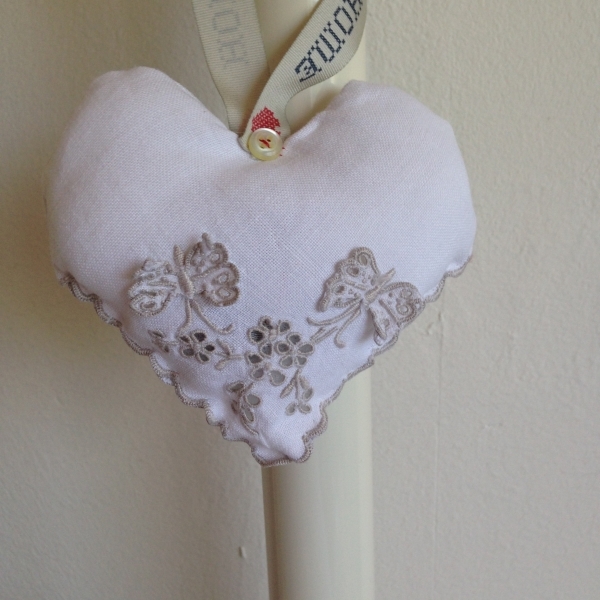 I have been thinking recently that I should be more careful with things I make for my own use as it doesn’t make a very good advert for my business really! But first it’s over to Handmade Monday for a look at what everyone else has been doing! See you next week with some pictures of my glamped up Dandy!